This week, Peaches on the Road merges with the Hidden Gem Restaurant Challenge. 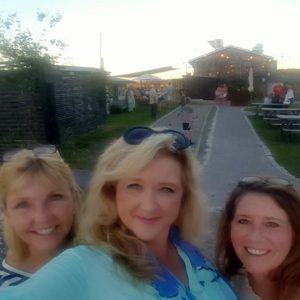 Savannah was on the Hidden Gem schedule, so we decided to make a girls’ weekend out of it. The past two weeks’ blog posts have taken you on the road to Savannah with us. The itinerary continues this week. We’re making it easy for you to plan your next trip. Have you ever been to a restaurant, read the menu, and realized that you had no idea what most of the dishes were? That very thing happened to the Picky Peaches at the the 11th installment of the Hidden Gem Restaurant Challenge, Puerto Rico Restaurant, in Savannah, Georgia. So what do you do? Ask lots of questions, of course! That’s what we did and our server, who also happened to be the owner, was happy to help us navigate the options. We’re so glad we did. 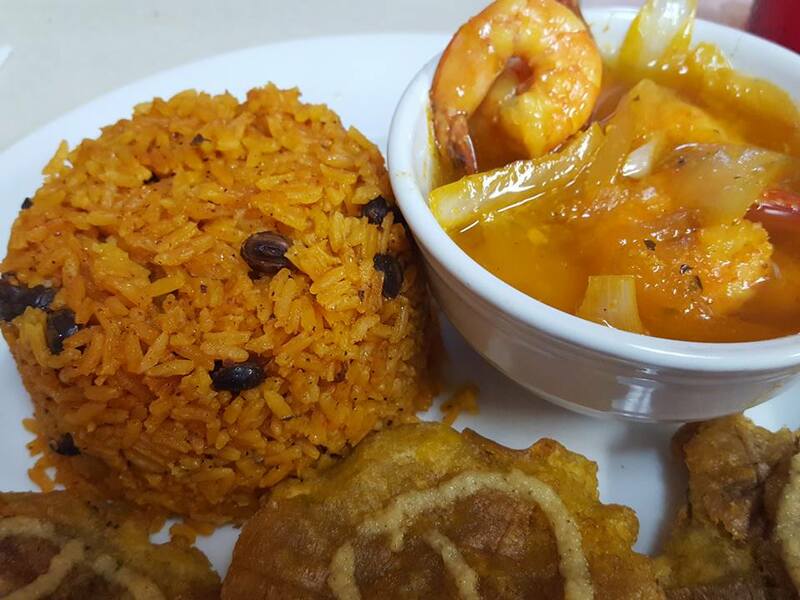 We wouldn’t want to miss some of the most authentic Puerto Rican food you can get without a plane ticket. This diverse, rich, flavorful cuisine uses a wide range of spices and seasonings. 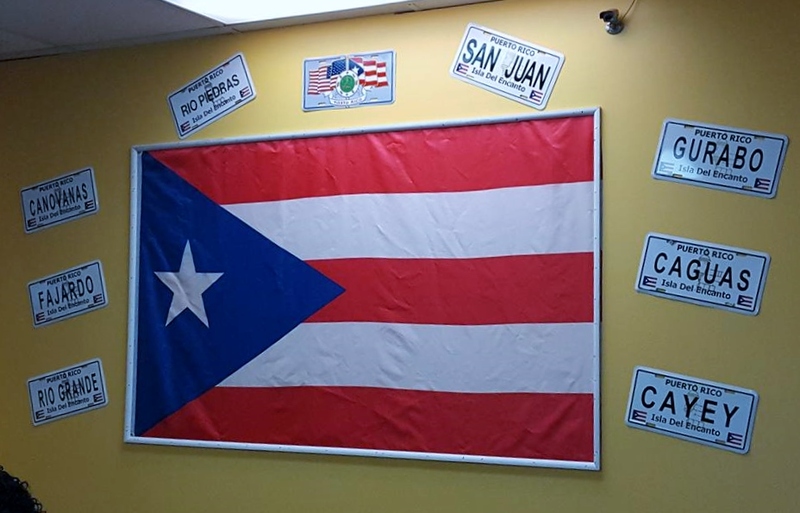 Partly due to its location in the Atlantic Ocean, Puerto Rican food draws from Caribbean, Latin and other ethnic influences. Saturday Early Evening. 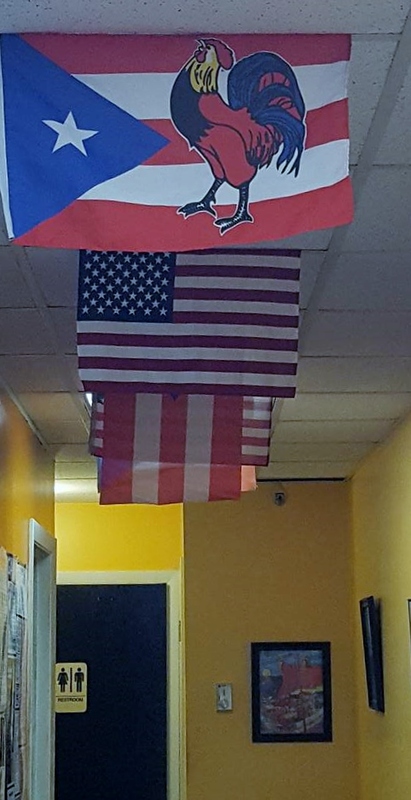 Visit Puerto Rico. (The restaurant, not the island.) They close at 8 p.m. on Saturday and 6 p.m. Tuesday through Friday. That’s why we say early evening. 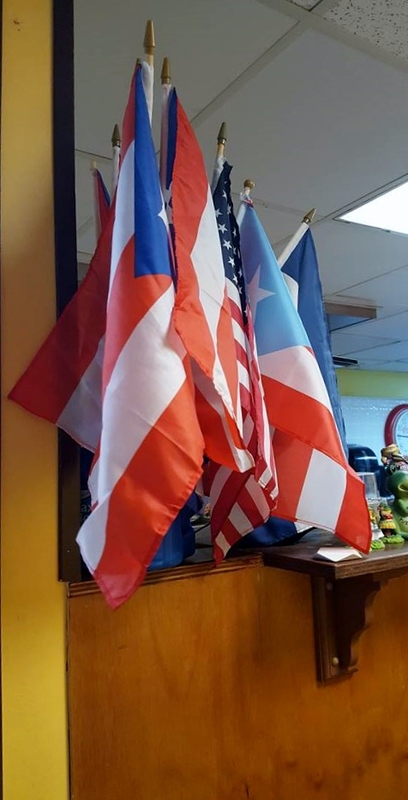 This family-owned and operated restaurant has been serving traditional Puerto Rican fare, in a casual setting, since 2012. Located in a small strip mall, it’s easy to drive past it, if you’re not careful. Don’t let the plain exterior deter you. If we’ve learned one thing during the creation of this blog, it’s that we’d have missed a lot of wonderful food, if we judged books by their covers so to speak. The interior decor isn’t fancy, but it’s very clean. They have 100 Health Inspection Grade. We’ve been to lots of fancy restaurants that can’t match that. Prices are very reasonable. The dining area is small, with only about six tables, so don’t take a large group. It’s best if there are only 2 to 4 in your party. Once you get a table, take time to read the menu and ask questions. The server/owner was very knowledgeable and very helpful. Please note that the menu indicates “no substitutions.” It’s our understanding that each dish is made to order and, because the unique blend of flavors have been created to complement each other, substitutions could make the cuisine lose its authenticity. Be adventurous. Order something you’ve never had. Who knows? It might become a new favorite. As an appetizer, try the Beef Turnover (Empanadilla de Carne). 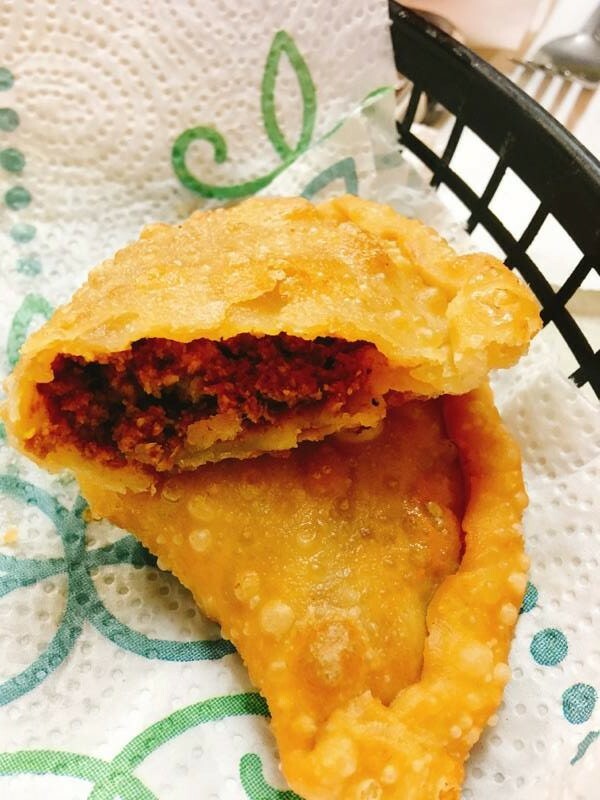 This fried pastry contains a savory blend of ground beef and seasonings. The taste is very similar to the chili and mustard combination found on a really good hot dog. This dish is known as a turnover, empanadilla or hand pie, depending on where you’re eating it. No matter what you call it, this one is delicious. For a taste of something unlike anything you may have tried before, get the Stuffed Potato appetizer. This delightful dish checks a lot of comfort-food boxes. 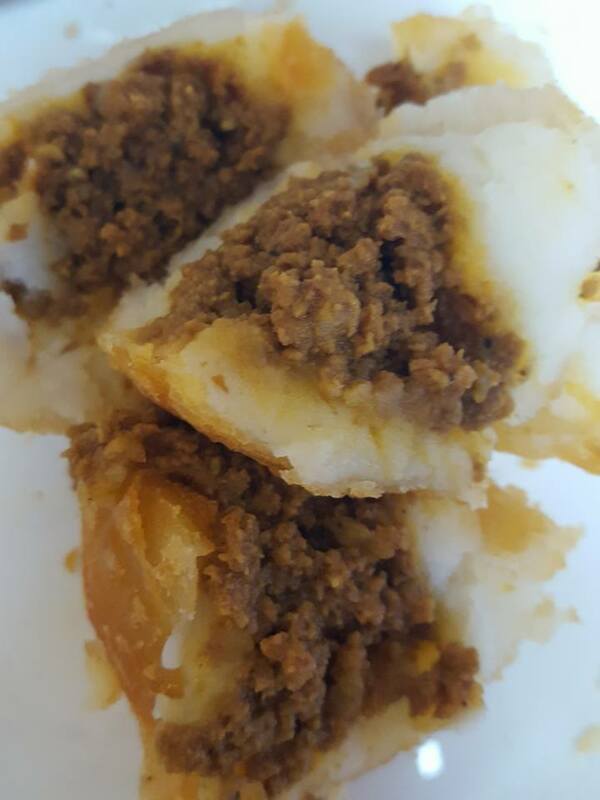 Made from mashed potatoes, rolled into a ball and stuffed with meat then deep fried, it’s truly yummy. 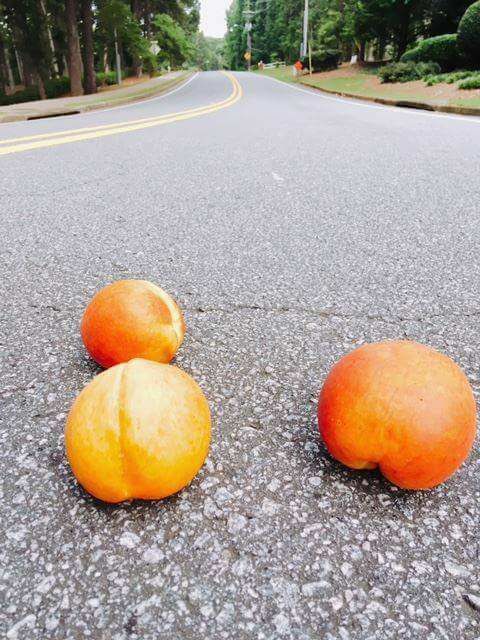 Since it’s about the size of an average orange, plan to share. If you like nachos and you like loaded French fries, try the Loaded Fries Nachos Jibaros. 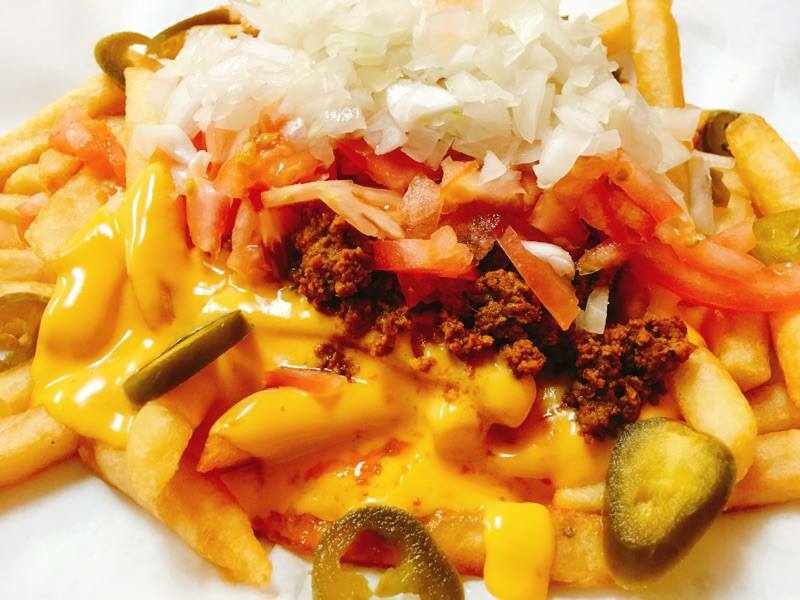 This decadent dish is a plate of French fries topped with spicy cheddar cheese, crisp tortilla chips, ground beef, jalapeños, tomatoes and sour cream. You’ll definitely want to share this one and plan on taking a walk after. One of the most popular entrees is the Shrimps in Garlic Sauce (Camarones al Ajillo). Served with yellow rice, beans and green plantains, this mouth-watering dish is similar to shrimp scampi. The sauce is a traditional sofrito which is very commonly used as a base in Spanish, Italian, Portuguese and Latin American cooking. A combination of garlic, onion, paprika, tomatoes and cilantro, blended and cooked together, it’s absolutely delicioso! Sunday 12 p.m. – 6 p.m.; Closed Monday. 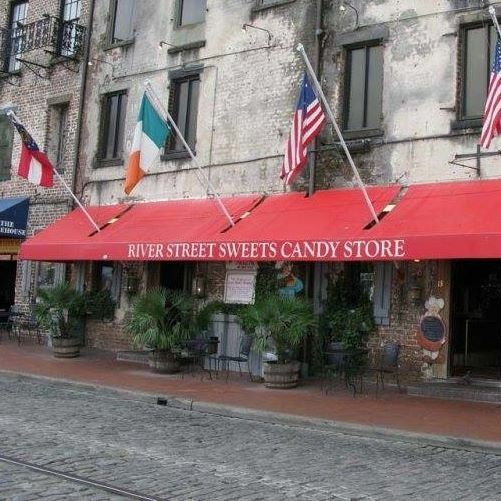 Head toward River Street to stroll along the waterfront to enjoy the night air, visit the shops, watch the people and don’t feel guilty about grabbing a Praline at River Street Sweets. Next week, join us for one last delicious dining experience before we leave Savannah. It’s a lovely setting for a delectable brunch or high tea. You don’t want to miss it! ENJOY! Such a special city! We were stationed there many years starting with flight school. So many great restaurants! Have fun! So many restaurants and so little time!!! 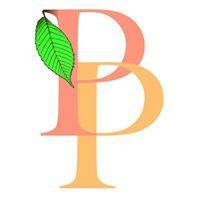 Thank you so much for reading our blog and commenting! Love and Peaches!